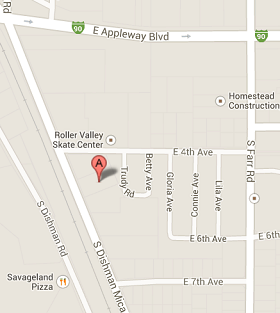 We are a local gun shop located in Spokane Valley, Washington. We carry new and used firearms, ammunition and accessories. Repair and Cleaning available. Glock Armorer on staff, Please call us at 509-928-6887 for a quote. “GLOCK” is a federally registered trademark of GLOCK, Inc. and is one of many trademarks owned by GLOCK, Inc. and GLOCK Ges.m.b.H. Neither Three Gun Nuts nor this site are affiliated in any manner with, or otherwise endorsed by, GLOCK, Inc. or GLOCK Ges.m.b.H. The use of “GLOCK” on this page is merely to advertise the sale of GLOCK pistols, parts, or components. For additional genuine GLOCK, Inc. and GLOCK Ges.m.b.H products and parts visit www.glock.com. Bring us your firearms for a minimum of 30 days and we will put your firearm on our website as well as other internet media to try to sell your firearm for a fair price. You will receive 80% of the sale price. Background check will be run if you pick up your firearm. A 15% restocking fee will be deducted from any firearm refund if purchaser is DENIED on the background check, or refusal of special order items. Due to Washington state law sales tax will be charged on all transfers. You must supply Three Gun Nuts with a sales receipt of the value of the transferred item and sale tax will be charged on that amount at a rate of 8.8%. Transfers will still cost $35.00 Plus Tax. Person to Person Transfers will aslo cost 35.00 plus tax, but sales tax on the value of the item will not be charged. Transfers can be done from 9:00 to 4:30 Monday thur Friday. To take advantage of our convenient plan, select your new pistol, rifle or other merchandise, make a non-refundable 30% deposit and we will activate your 30-day Layaway Plan. During the 30-Day Layaway period, you may make several payments, or make one final payment by the 30th day. Once final payment is received we will fill your order. If we have not received your payment in full in 30 days, your Layaway Plan will automatically be canceled and any/all payments will NOT be refunded. Layaways will not be held longer than 30 days. Special consideration may be made, at our discretion, for items that exceed $2000 in value, on case by case bases. Layaways not completed within the designated time period may be sold for the balance owed and the layaway party not reimbursed. Due to fast pace internet and in store sales prices and availability subject to change without notice. Please call for exact quote and availability or delay in getting items.